In Anuradha Roy’s second novel, The Folded Earth (Free Press), a young widow named Maya starts over in a pretty town at the foothills of the Himalayas. Hill stations that attract the attention of filmmakers or fiction writers are usually worth a visit. Think of Shimla, Mussorie, Ooty, Darjeeling, Kodaikanal. To this list we can add Ranikhet, where Roy and her husband run a publishing house. Estranged from her family because she’d married a Christian, Maya tries her hand at teaching and is drawn into the lives of Ranikhet’s rich cast of characters, which include a peasant girl, the wealthy Diwan Sahib, and his intriguing nephew. “Despite my distaste for novels imbued with Raj nostalgia, I was captivated by The Folded Earth and swept into its narrative.... it is extremely good at what it sets out to do: tell a story about love and hate, continuity and change, loss and grief in a convincing and memorable setting,” notes Tabish Khair in The Independent. Roy’s debut novel, An Atlas of Impossible Longing, has been published in 16 countries. 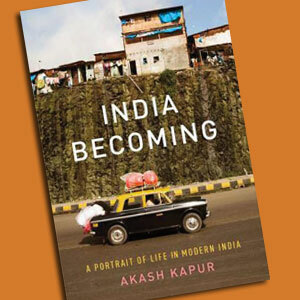 Akash Kapoor’s India Becoming (Riverhead Books) joins a groaning shelf of India-centric books, but his background has let him stand apart. Born to an Indian father and American mother, Kapur grew up in the Pondicherry area, where he continues to live. The timing of his book may seem off, given the current slump, but Kapur’s story is two-sided. “One is a story of progress, of the sense of purpose and direction that rapid economic growth can bestow on a nation that had in many ways lost faith in itself,” he writes. 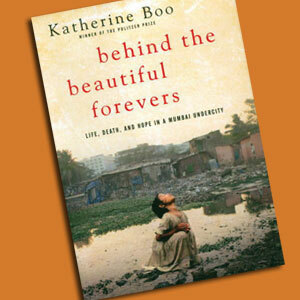 “The other is a darker story; it tells of the destruction and disruptions caused by the same process of development.” Comfortable in both urban and rural India, which gets more emphasis here, Kapur takes a boots-on-the-ground approach, using the stories of a cow broker, a call center employee, a feudal landlord, and a child-seeking career woman, among others, to tell the larger story of globalizing India. Kapur studied at Harvard and was a Rhodes Scholar at Oxford, where he earned a doctorate in law. 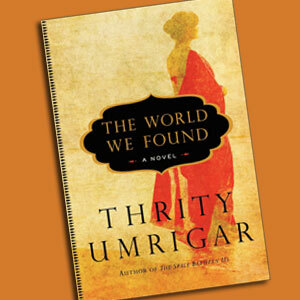 In The World We Found (Harper Perennial), novelist Thrity Umrigar, known for her fictional chronicles involving Parsis, explores the travails of middle age and the ties of friendship. Four friends, after becoming close in the ’70s during their college days, have drifted apart—only to come together again decades later, drawn by the impending death of Armaiti, who had moved to the States years ago. The other three had remained in Bombay—and that’s where the reunion takes place, at Armaiti’s request. How do they rekindle their friendship, and what sort of changes and secrets do they discover after such a long gap? “It would have been relatively easy—perhaps even unavoidable for some writers— to take this premise and veer into chick lit, but the problems that unfold in the course of the novel are too serious and Umrigar too good a writer,” points out Kevin O’Kelly in The Boston Globe. The author of a memoir and four other novels, Umrigar worked as a journalist for 17 years.